In this advanced, selective program, Counselors in Training (CITs) take on a significant amount of responsibility and are expected to be the leaders of our Camp community. The CIT Program is designed for young, talented people who are highly motivated and looking to challenge themselves. 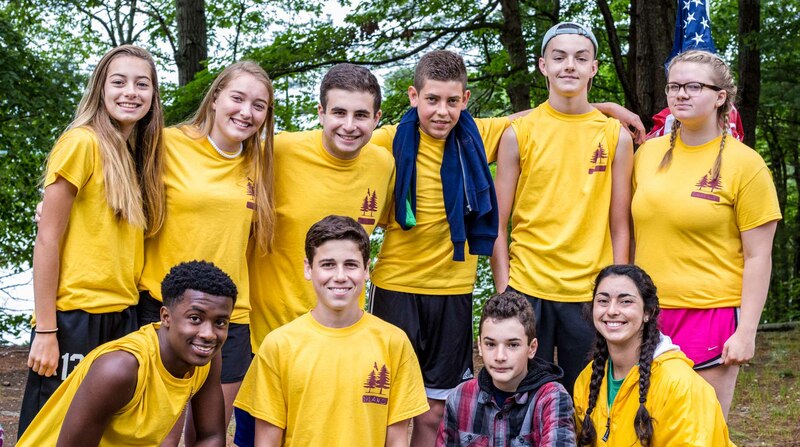 Many candidates who have attended Everwood as younger campers eagerly await their chance to join the CIT program and several new campers join the Everwood community for the first time as CITs. The CIT Program is much more than “one more year of Camp”; It’s a commitment towards becoming a true leader and making a difference in the lives of others. CITs use the leadership tools learned in training workshops and apply them to real-life challenges and projects that impact both our Camp and the community around us. CITs complete a wide range of cooperative and hands-on projects that will reinforce leadership lessons and provide Teen Leaders with the opportunity to positively impact others in tangible ways. These interactive sessions are mentally challenging and hands-on. Training Workshops at the 10th-grade level reinforce lessons from the LEAD Program and focus on higher-level concepts such as empathy, acceptance of diversity, and planning for their future. CITs assist Group Leaders, Counselors and Specialists throughout the day during electives, swim, group activities and special events. CITs also get practice in leading groups, facilitating special events and planning camper activities. The CIT schedule is structured to balance CIT group time with individual internship periods. Each day, CITs spend three periods in training and activities with the CIT group, four periods at the internship — including lunch — and a free swim period. During the first few days of each session, CITs receive training and information about what it means to be a leader at camp and how to transition into their new roles. They shadow groups and come to understand how they can help meet the needs of younger divisions. CITs, with help from their Division Leader, are able to select groups of younger campers or program areas with which they would like to intern. CITs arrive at their internship placements well prepared and eager to practice their skills and form relationships with staff members and younger campers while enjoying the privileges and responsibilities of their new roles at camp. Although much of the CIT’s day is spent independent of peers, CITs come together during group time and training sessions to debrief the day and share experiences from internships. Training sessions are often used to discuss issues that came up during internships and problem solve areas for growth and improvement for CITs. CITs are supported by a staff of mentors around camp. Camp Directors, Specialists, Division Leaders, Group Leaders, and peers help each CIT to strengthen they’re and practice their leadership skills while contributing to the camp community. With guidance and support, CITs can explore different age groups and areas of camp to find their best fit in the community. All CITs receive formal performance evaluations, giving them concrete and valuable feedback on their experience. Many former CITs are now thriving as counselors and have expressed gratitude for the opportunity to practice their skills before joining the Everwood team as staff members. Highlights of the program in past years have included competitive CIT Bingo challenges, opportunities to lead activities for each other as well as for younger campers, and starting new CIT traditions and celebrations through shared experiences each summer. It is important for all potential applicants to know that successful completion of our Teen Leadership Program does not ensure future employment at Everwood Day Camp. We ask those who apply to our CIT Program to understand that they should participate because they have a strong interest in learning great leadership skills, and not because they are seeking a position on the Everwood Day Camp team in the future. The CIT Program has a strictly limited enrollment and any interested individual must apply and fulfill all of the necessary application requirements. Complete details of the CIT Application process are available in the “Signing Up” section below. CITs must attend Camp for at least 3 weeks of the Regular Camp Season. A Parent/Guardian must complete the online Camper Registration Form via CampMinder (signing up for a minimum of 3 of the 9 weeks of the Regular Camp Season). 10th Grade Program Applicants must complete the online CIT Application Form. Personal References: two adults must provide each applicant with a personal reference, using our online reference form. We will not accept references from family members, friends, or Everwood Day Camp Staff. Acceptable references include teachers, coaches, supervisors, guidance counselors, neighbors you have worked for, or any other prominent adult figure in your life. Within a month of submitting all of the application parts, camper will receive an acceptance decision letter. Please note If you have never attended Everwood Day Camp, or if requested by the Program Coordinators, a personal interview may be required as a mandatory part of the application process. The deadline for completing all parts of the application is May 1st, 2019.